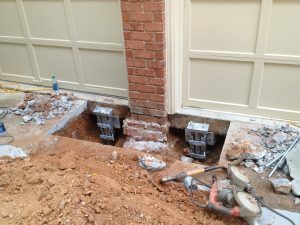 In Georgia, everything from the weather to the soil is working against your home’s foundation, including the garage column that helps support your garage, its contents and any rooms above it. 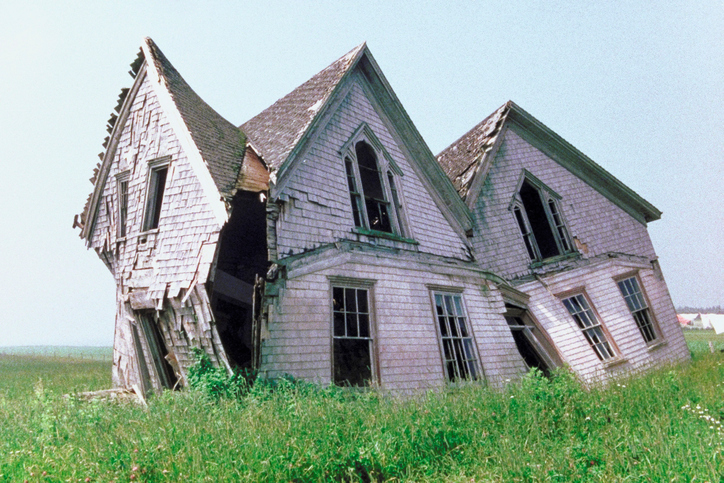 You can often tell foundation issues are occurring when you begin to see horizontal or vertical cracks running along the column itself or in the exterior or interior walls of the rooms above the garage. You may also notice sticking doors or windows, cracks in the floors or walls of your home, noticeable cracking and shifting in the garage floor and your driveway or gaps between door jambs and walls. 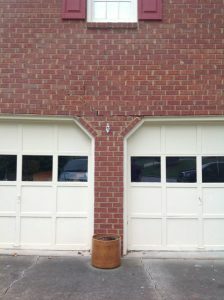 These issues occur due to shifting of the garage pier, which could potentially lead to the garage collapsing. Underpinning the column is often necessary to address the issues, which requires the installation of one or more helical piers for the purposes of stabilization. Unskilled contractors without the knowledge to address the complex engineering issues inherent with garage foundation issues may suggest unwise solutions that will only compound the problems you’re experiencing. It’s all too common for some contractors to just suggest pumping concrete underneath the column to hold it up. The problem with this method is the fundamental issue is likely with the soil being unable to support the weight of the garage column. Adding more weight on top of already overstressed soil is only going to exacerbate the problem. Taking this route or pumping grout under the column can make eventually fixing the problem the right way more difficult and expensive in the future, as the improperly added concrete will also need to be dealt with before stability is restored. Because our company has the ability to lift the garage column to its proper level and stabilize it with helical piers we are able to restore and repair the column to ensure optimal stability and prevent further damage to your garage and home due to sinking garage columns. Considering our solution negates the need for future corrective repairs due to improperly applied solutions, many of our customers ultimately end up saving money in the long run and enjoy the peace of mind knowing their home is stable. You can learn more about the solutions we offer at Atlas Piers by calling (770) 740-0400 to schedule a free quote.